Food Adventures of a Comfort Cook: Luck of the Pot. Living in Monticello, the Colorado state border is a mere twenty minutes’ drive along Highway 491. To put your mind at ease immediately, the “pot” I am referring to has nothing to do with legalized marijuana in Colorado. However, with Pioneer Day coming fast, I am about to go off on one of my convoluted writing journeys. The Big 4 Tractor has been a main attraction, for the most part, in our small town. 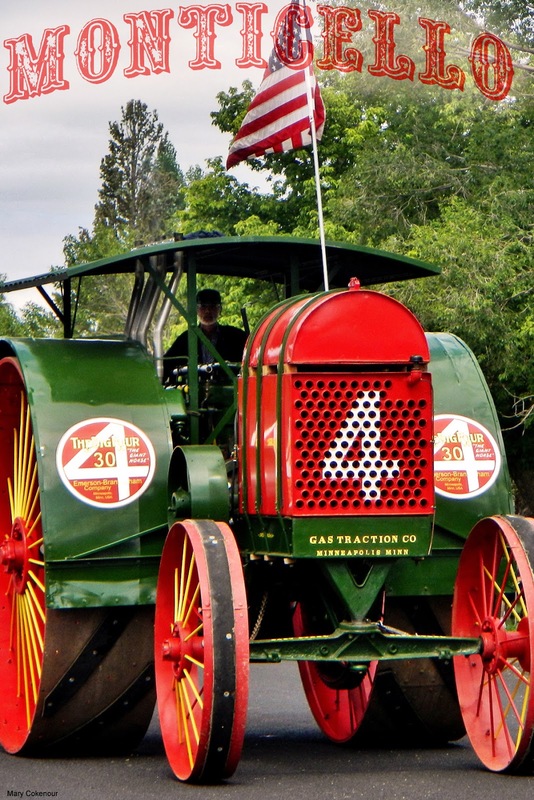 This giant, for its time, tractor was made by the Emerson-Brantingham Company in 1912. Purchased by the San Juan Arid Farm Company for $4,500, shipped to Dolores Colorado before making the trek to Monticello. It took about three days, but at a top speed of three miles per hour, along an unpaved roadway, no surprise, right? This was a two person operation; the driver who was required to stand the entire trip, and the fuel hauler. Once a week, William Young would make the 110 mile journey to purchase fuel (gasoline, not diesel); hauling it in a wagon containing 50 gallon barrels. Mainly used at a 3,200 acre dry farm at Piute Knoll and Piute Springs, between 1912 to 1915; a severe drought forced bankruptcy and the use of the Big 4 came to an end. Eventually purchased by the City of Monticello in 1962, it was featured, and driven, only once in the Pioneer Day Parade. However, it made its way to Veterans Memorial Park, where it sat rusting, disused, except by the children who played in the park and loved to climb the tractor. Long story short, the tractor was eventually restored, is housed in its own protective building next to the Frontier Museum on Main Street; proudly cruising in the Pioneer Day Parade yearly. So back to my story about pot, no, not that pot, another type of pot, namely a cooking vessel. Besides Pioneer Day’s celebration, reunions and get-togethers of all types are a summer event; graduating classes, family, military, and the simple, “let’s just get-together and celebrate”. 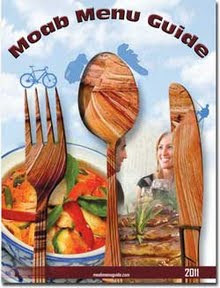 What type of foods are typically served? Usually, and here comes the pot, potluck meals! The term “potluck” has its origin in 16th century English, “pot” meaning a cooking pot while “luck” referred to “chance or fortune”. In this instance, “whatever is available to eat” aka “already cooked in the pot” for unexpected guests who showed up spur of the moment. By 20th century English, “to take potluck” had acquired a more general sense of “to take what comes” or “to take one’s chances”. In America, mid-19th century meaning of potluck became “a communal meal where each guest brings a dish to be shared”. It often helps if the guests inform the host(s) of what they will be bringing, or get suggestions, so not half the dishes are the same. Variety is the spice of life, and who wants to eat 12 different types of potato salad at one meal!?! Since I did mention potato salad, here’s a recipe for a new style I experimented on, with deliciously amazing results; oven baked potato salad. While any type of potato can be used for this recipe, I prefer using Golden Yukon Potatoes. The flesh is yellow, buttery flavored with a creamier texture than other types, such as russet, red-skinned or even Idaho baking potatoes. The skin is thin, so I don’t peel it all off, but leave some for color and texture. Preheat oven to 450F. Line a baking dish with aluminum foil. Peel the potatoes (leave some skin on for color and texture, or not), cut into 2-inch pieces and place into bowl. Add one teaspoon of olive oil, for each potato, mix well and place potatoes onto aluminum foil (use spatula to get all the oil in as well). Cover the potatoes with another section of foil, folding ends of both sections of foil together to create a packet. Place into the oven for one hour. Remove from oven, cut a slit into top of foil (be care of escaping steam) and pour potatoes into a bowl (some might have stuck to the foil and browned; add them in anyway, they’re yummy this way!). Mix in one teaspoon of mayonnaise per potato used, add salt and pepper to taste. This potato salad can be eaten hot or cold. It is so delicious, you might want to add in extra potatoes and other ingredients for those who will definitely want seconds!